The fact that the CSRF was having a conference at all was in itself an exciting development. Less than a year ago, as the PCS union used its Annual Delegate Conference to sell its membership a reductive strategy on the pension dispute, I was lamenting that "there is no effective rank-and-file movement in this dispute" and that building one from scratch "will be painstakingly slow." Now, of course, that movement is the CSRF. As I've explained previously, the catalyst for the CSRF was a visit to Coventry tax office by Cabinet Office minister Francis Maude. Days after news of widespread attacks on civil service terms and conditions was leaked, this sparked a wildcat walkout and the call for workers to take action without waiting for "the politics at the top of the union." It was fitting, then, that the conference took place in the town where the network was born. Here the aim was to establish a structure for what had until now been an ad hoc grouping and hopefully give it the direction to grow and continue punching above its weight. On which note, it's worth saying that the turnout at the conference was far lower than expected. There were reasons for this, including a number of comrades being either busy or unable to travel on the day. Thus business didn't take place in a meeting crammed with militants and the attendance did not reflect the full compliment of the network's support. Nonetheless, government workers from Coventry, Bootle, London, Blackpool and elsewhere took part on the day, and support for the initiative comes from further afield including Dundee, Glasgow, Sheffield and Nottingham. Debate and discussion throughout was constructive, and in virtually all decisions the conference was able to establish a consensus rather than having to go to a vote. Though this led to some pedantry about wording, which quickly became a running joke amongst those present, on the whole it was positive and I think all present left pleased with the outcomes. As it is still in its infancy, one focus of this conference was giving the CSRF a structure. 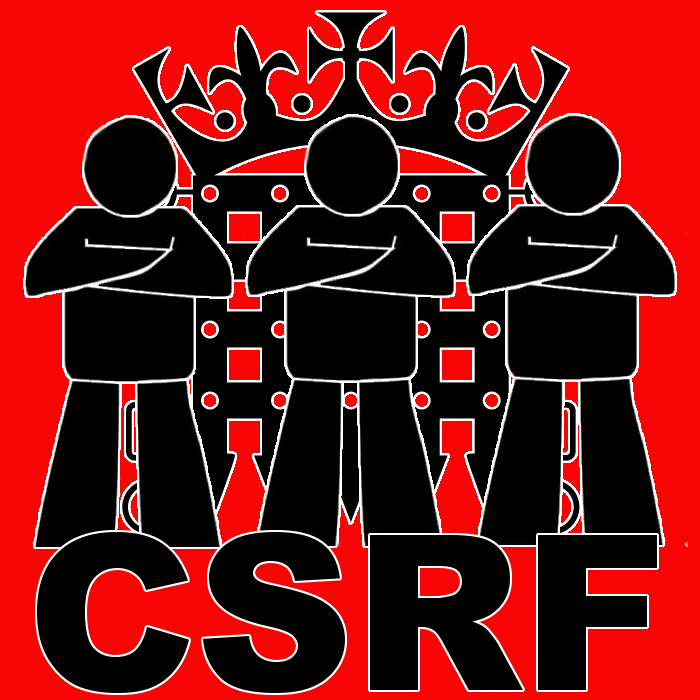 A set of aims and principles were agreed which distinguished the CSRF as a new way of organising in opposition to union hierarchies and the factions that operate within them, focusing on direct action, solidarity and workers controlling their own struggles as well as an overall anti-capitalist outlook. The network structure will be based upon workplace committees coordinated by a national delegate council whose participants are strictly mandated and recallable. National officers, too, are mandated and recallable, with no decision making power beyond that of ordinary members. What was positive in establishing all of the above is that the discussion focused on tightening up accountability and recall mechanisms, rather than scrapping them. Attendees represented a fairly broad range of socialist and left tendencies yet all present were committed to keeping CSRF as horizontal as possible and hopefully we've done that. Call further national days of action to put pressure on PCS if it is seen to be delaying action. All of which offers a positive strategy for maintaining the pressure on the PCS union in the coming campaign. But more than that it addresses the principle of generalising struggles in a more concrete way than simply "calling on" union bureaucracies to do so. A commitment to call national action in conjunction with a localised strike at the Home Office in Merseyside, where a young rep was sacked for highlighting bullying by management, is also a positive lesson in practical solidarity. Discussion over this issue also highlighted the potential of other cases, including workers who have been identified as "surplus" and face redundancy rejected for jobs even where they were the only applicant on the grounds of their workplace organising activity. Clearly, blacklisting is not limited to construction and this represents a potential new front for the CSRF to campaign on. Aside from attendance, the other hiccup in this conference was timing. Though most of the business was done, there was no time to discuss or formally adopt the strategy of establishing workplace committees as independent platforms for direct action. Nor could motions to PCS conference be officially endorsed by the network. But rather than being guillotined and forgotten, these questions will be brought forward and decided through the national delegate council structure. In all, there were probably always going to be hiccups. There hasn't been a rank and file grouping in the civil service (or the public sector as a whole) for a long while. Even now, there will be a lot of trial and error in how it works and how it develops in practice from militants pushing ideas through existing union structures towards independent rank and file committees bypassing those structures. Nonetheless, on the whole I feel particularly positive about the endeavour. Even if just for the fact that when fellow workers express their widely held scepticism about whether we can win what we're demanding in this strike ballot - rather than having a couple of one day protest strikes over the matter before forgetting about it, as with every other dispute of the recent past - there's now a fighting chance that yes, we can. Hi, thanks for this interesting report, it sounds like an interesting and promising endeavour. One question though, did you discuss of an official position regarding standing or supporting candidates in official union elections? It came up during part of the discussion over membership criteria (i.e. whether members of the NEC should be allowed to join). But there was a split on this, with some feeling that it would be useful to have CSRF sympathisers in the leadership and others - such as myself - arguing that it would have little impact on the structure and we didn't want to become another faction or broad left. There's currently no formal bar on members of the leadership being in the network, as long as they sign up to the aims and principles, but by the same token there's no line on standing or supporting candidates. Sounds exciting and positive. Keep us informed.